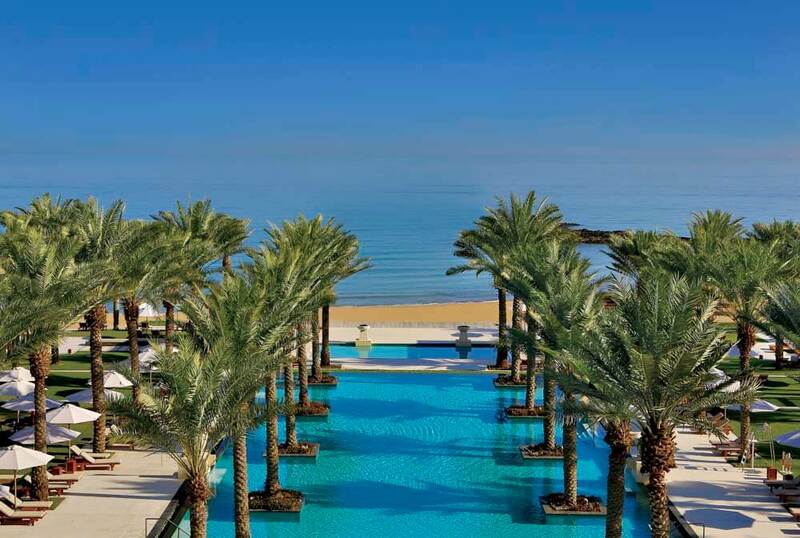 The Al Bustan Palace is one of the Middle East’s most famous resorts, laying claim to an enviable reputation and long list of international awards. 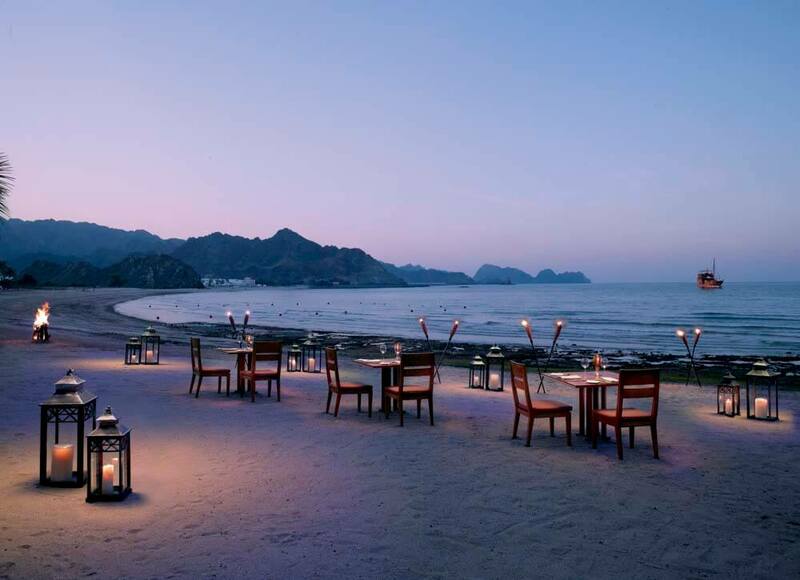 Spectacularly set between the Al Hajar mountains and Gulf of Oman, the Al Bustan Palace sits in splendid isolation while the fascinating fortresses, city walls, palaces, mosques and souks of Muscat lie just a ten-minute drive away. 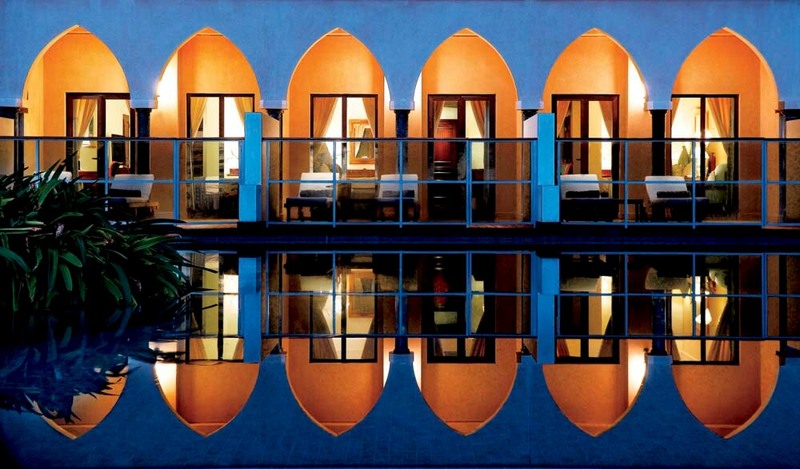 Its 250 rooms and suites all have balconies, most of them enjoying spectacular water views. 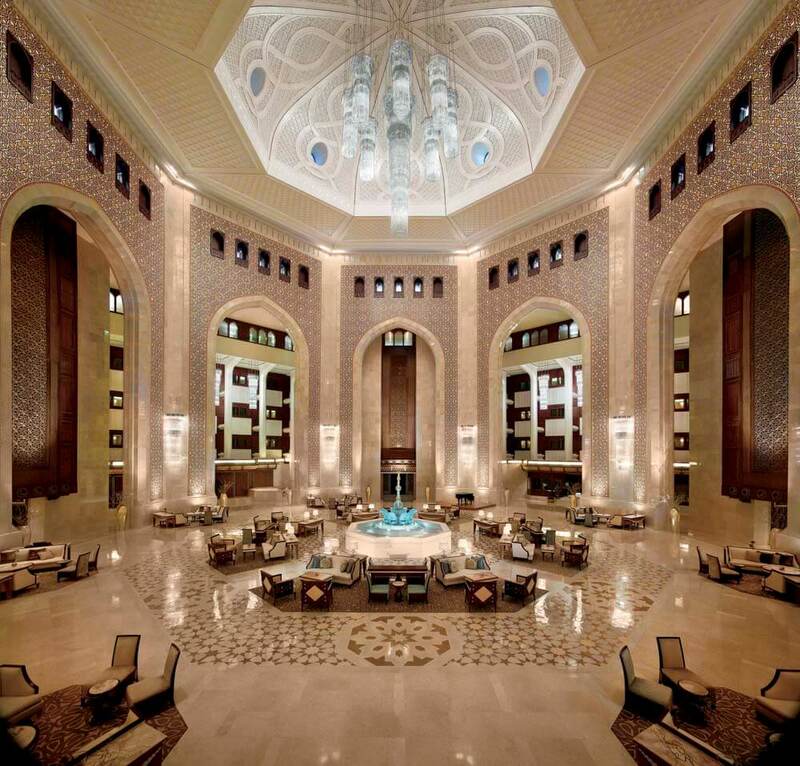 Luxuriously appointed and newly refurbished, they combine ancient Arabian influences with modern comforts such as satellite TVs, coffee makers, DVD players and personal bars. 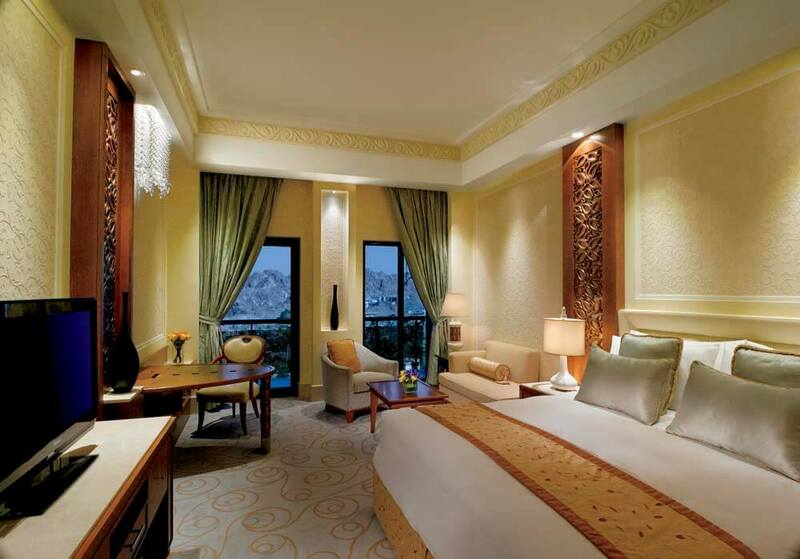 24-hour room, laundry and valet service epitomise the high standards of personal service and attention guests can anticipate here. 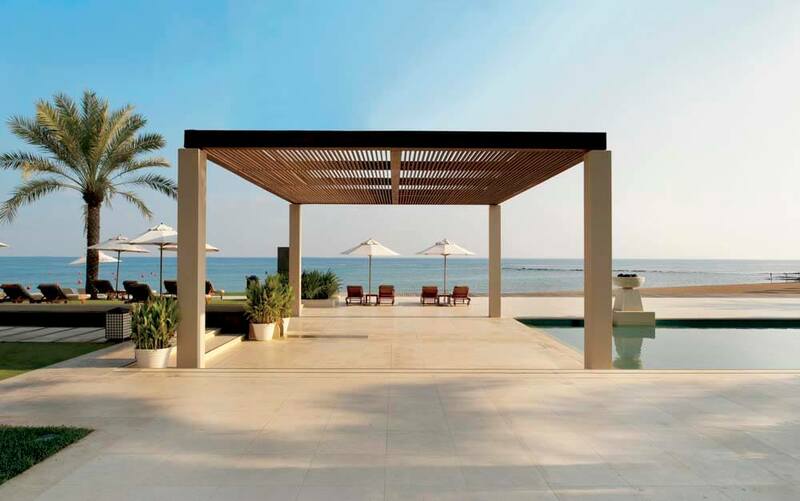 Guests can also expect one of the most comprehensive lists of recreational facilities in the Gulf region, including a 1km-long private beach, five swimming pools and tennis club. Scuba diving is available at the nearby Bandar Al Khayran Reserve, whilst excursions such as dolphin watching and camping under the stars in the desert can also be arranged. And where better to refuel than at the Six Senses spa, a 33,000-square-foot peaceful haven reminiscent of a traditional Arabian fort. Above and beyond level of service. The best vacation I’ve had in a long time. I can’t fault the trip, you thought of everything and delivered! Wonderful!